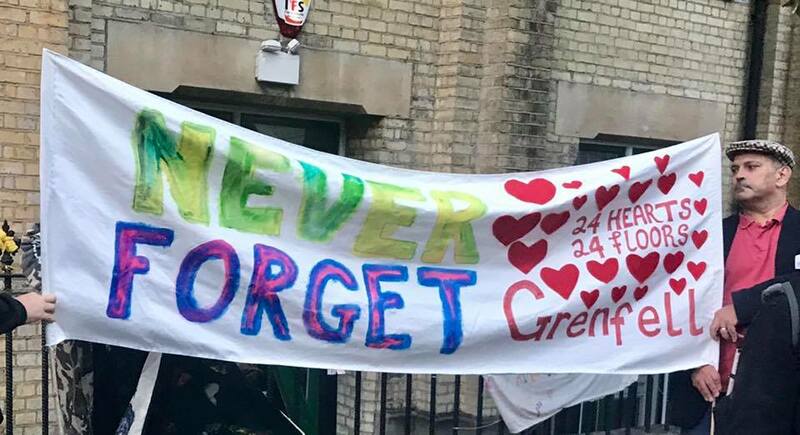 Playwright, film maker, poet and curator Ash Kotak has something to say about Grenfell. In June 2017 a fourth floor fire started in the Grenfell residential tower flats in the Royal Borough of Kensington and Chelsea. The fire, that was started by a refrigerator, went on to decimate the entire building - killing at least 80 people. Built in 1974 Grenfell Tower had recently undergone refurbishment but a regime of cost cutting lead to fireproof zinc coated cladding panels being swapped for aluminium ones with a polyethylene core to make a saving of just under £300,000. Testing has since proven polyethylene to be flammable, this combined with inadequate fire systems and a safety plan that encouraged residents to ‘stay put’ in case of fire has caused the worst national disaster in Britain for almost thirty years. This is what Ash Kotak is talking about right now, and A Clodhopper is listening intently. Ash tells me via email “Kensington & Chelsea have failed in their duty of care. They also have failed to show any true concern and empathy since the fire. It is this indifference which led to the people-made disaster.” Evidence suggests he is right but the question A Clodhopper wondered about was what the author hopes to add to the Grenfell narrative with this piece? “It’s 4 months since the fire and the survivors have not been rehoused when Theresa May had made a promise of 6 weeks. How is anyone meant to be able to fully grieve and get on with their lives, when their living situation is so chaotic. Again it’s a lack of emotional intelligence at work by the authorities who can and should do much better” he said. The issue of a grief is a poignant one, official's statements try to say the death toll stands at around 80 people, but A Clodhopper’s friends, those directly affected and indeed Ash too suggest the death toll is much much greater. “The local communities are certain that the number that lost their lives on June 14th is far higher than the official figure released. The discrepancy can be accounted for, perhaps, by the way the figures are collected. The local communities have created a list of missing people. The official figures are those who have been identified.” A damning indictment that shows this story is set to get more heartbreakingly tragic. 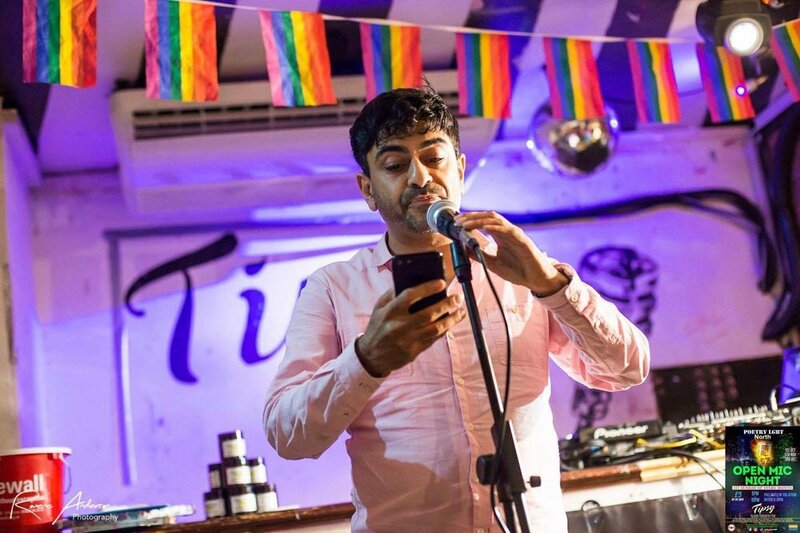 It’s apparent Ash Kotak speaks eloquently and passionately about Grenfell especially in his piece ‘INDIFFERENT BRITAIN Without Punctuation - Grenfell RIP’. But on further research it is perhaps unsurprising for a man who set up the Palestinian Arts Festival in 2014 and who is leading the AIDS Memory UK Campaign. A man whose work is peppered with major outlets like the BBC, Channel 4 and The Guardian newspaper too. So with that in mind A Clodhopper asked what his views were on the Royal Borough of Kensington and Chelsea, under whose watch Grenfell happened, “An important question needs to be asked of Britain, the huge amounts of reserve money held by the council plus the accrued interest was surely meant to help those in the Borough who were in the most need. Where have we got to when firstly the council didn’t care about this and equally bad they state the money was for an emergency yet they failed to see the extent of trauma caused by the fire. We need to look closely at ourselves as a nation” was his answer. Hopefully once the full extent of Grenfell is admitted the community can start to heal and the United Kingdom will take a moment for some much needed self examination. Ash Kotak is part of the steering committee for ‘Grenfell One Year On’.